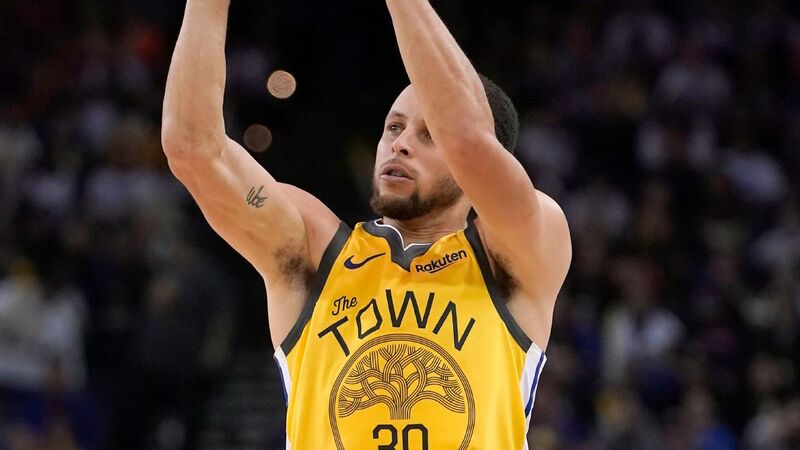 OAKLAND, Calif. -- The Golden State Warriors have won at least 50 games in each of the past six seasons after their 121-114 win over the Detroit Pistons on Sunday. It's an accomplishment the back-to-back NBA champions take a great deal of pride in as they finish the end of another long regular season in the midst of a historic run. "It's kind of surreal, to be honest," Warriors guard Stephen Curry said after the game. "You talk about the history of the organization, how hard it is to win NBA games, win championships and string together [wins] year after year after year. It takes a collection of talented guys, a commitment to trying to put together the best team possible every year. That's front office, coaching staff, all the way down. So I think I have a true appreciation for what we've been able to do and want to continue it for as long as we can." In the wake of an embarrassing 35-point home loss to the Dallas Mavericks on Saturday, Warriors players and coaches were reflective about not only the win but also the sustained success the organization has enjoyed the past six years. "To have the run that we're currently having, it's a special thing," Warriors forward Draymond Green said. "But in saying that, we get the opportunity to do it with a special group of guys, a special organization, a special coaching staff, a special ownership group, a special front-office group. So it's more so about the people that you come to work with every day. That's what makes runs like this possible. That's what makes runs like this sustainable." With the win, the Warriors moved ahead of the Denver Nuggets for first place in the Western Conference standings. After some poor performances throughout the season at Oracle Arena, including Saturday's lifeless effort, the Warriors embraced Sunday night's win as just four regular-season home games remain in the old building. "It's hard for anybody to understand what these guys go through, physically, emotionally, spiritually, trying to defend the crown, trying to win the title, trying to stay on top of the mountain. It's hard," Warriors coach Steve Kerr said. "And [Saturday] night they had nothing, we had nothing in the tank. And the great thing about this team is they always bounce back because they have so much pride. But what they've accomplished -- this team has the best record over the last four seasons of any four-year period in the history of the NBA. So what they've done is just remarkable." Warriors players and coaches showed no panic after Saturday's loss to the Mavericks, and that confidence paid off Sunday, when the Warriors bounced back the way Kerr knew they would. The team wants to close the season with the No. 1 seed in the West, and the players are confident they can do it if they remain focused down the stretch. "We got beat by 40 -- that was the reason why," Warriors forward Kevin Durant said of the team's renewed focus. "No matter what that game was, no matter what time of year it is, you get beat by 40, you don't want to get embarrassed like that again. Or just lose the next night. So I think we came out with a nice sense of urgency. "We let go of that game, but everybody in that locker room, from the coaches on down, are competitors. In the back of their mind, they just wanted to kind of avenge that terrible loss. So I like that energy from the start." 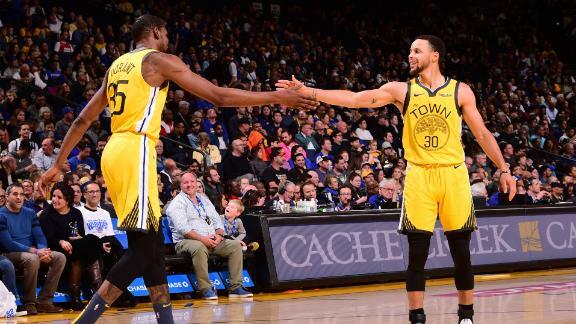 Steph Curry, Kevin Durant, Klay Thompson, and Draymond Green all come up big and score in double figures to help the Warriors beat the Pistons 121-114.